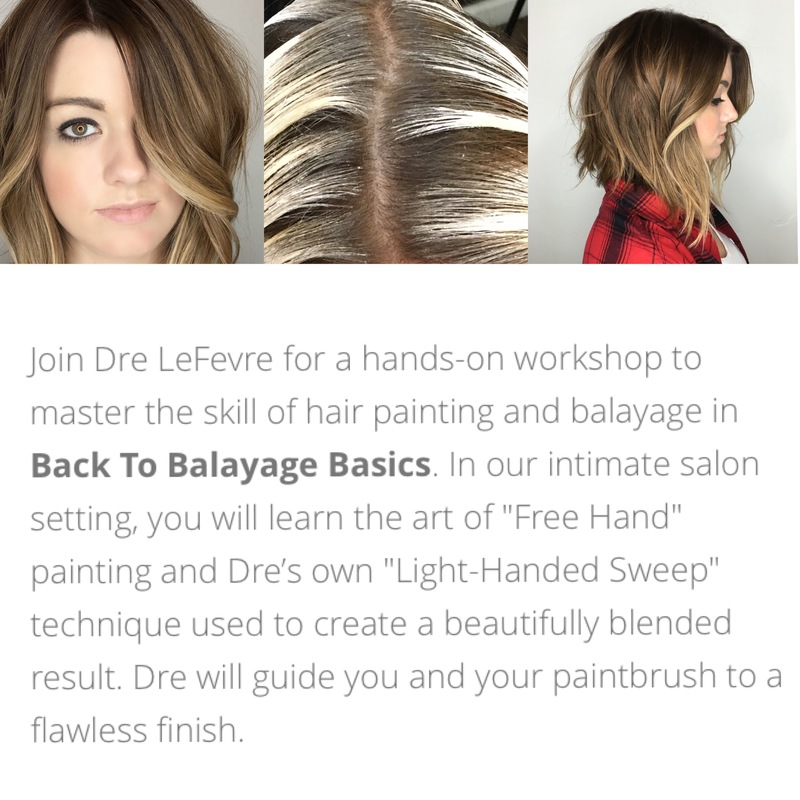 Join Dre LeFevre for a hands-on workshop to master the skill of hair painting and balayage in Back To Balayage Basics. In our intimate salon setting, you will learn the art of “Free Hand” painting and Dre’s own “Light-Handed Sweep” technique used to create a beautifully blended result. Dre will guide you and your paintbrush to a flawless finish. Your own Solaris lightener, 40 vol developer, balayage paddle and paint brush. Live models – please plan accordingly. Questions? Send a note to Dre at Andrea4hair@yahoo.com, and she will get back to you asap.